The legal status of prenuptial agreements in England remains far from clear. Baroness Hale, the deputy president of the Supreme Court and the senior judge on family law cases in England who has almost single-handedly changed the English law on the division of divorcing spouses’ assets, issued a dissenting judgment in the Radmacher case. “Marriage is, of course, a contract, in the sense that each party must agree to enter into it and once entered both are bound by its legal consequences. But it is also a status. This means two things. First, the parties are not entirely free to determine all its legal consequences for themselves. They contract into the package which the law of the land lays down. Secondly, their marriage also has legal consequences for other people and for the state. Nowadays there is considerable freedom and flexibility within the marital package but there is an irreducible minimum. This includes a couple’s mutual duty to support one another and their children. We have now arrived at a position where the differing roles which either may adopt within the relationship are entitled to equal esteem. The question for us is how far individual couples should be free to rewrite that essential feature of the marital relationship as they choose. Radmacher v. Granatino,  UKSC 42, Para. 132 (emphasis added). 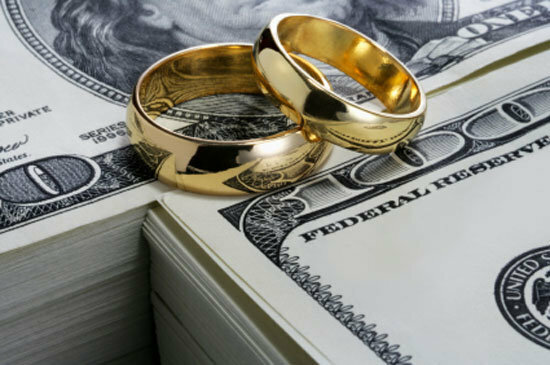 The U.K. Law Commission has recommended legislation that would introduce “qualifying nuptial agreements” as enforceable contracts which would enable couples to make binding arrangements for the financial consequences of divorce or dissolution. These agreements, which would have to meet certain requirements, would not be subject to the court’s assessment of “fairness,” but they would be subordinated to an obligation not to contract out of providing for the “financial needs” of the weaker party. The “financial needs” exception might appear at first blush to be innocuous and sensible. In fact, however, it would create a gaping chasm of uncertainty that would undermine the basic goals of predictability, simplicity and autonomy. The proposed exception is so broad and its terms are so vague that no one will really know how it might be applied to the facts of any particular case. The Law Commission has proposed some kind of non-binding “guidance” about “needs” to assist decision-makers in their task of interpreting that term in specific cases, which serves to underscore the fact that there will be substantial uncertainty under its proposal as to what the exception will include and how it will be applied. The bottom line is that the most recent remarks of Baroness Hale serve to underscore the fact that the enforceability of prenuptial agreements under English law remains “iffy”. In my field of international family law, a marrying person with significant assets should still be most wary of the English courts’ potential interference in any prenuptial agreement. It should also be noted that in the Radmacher case, the English courts also awarded the less wealthy husband a far greater financial award for his “needs” as a father to the parties’ child than I believe he would have received in any other courts anywhere else in the world.